This example demonstrates how to capture input from forms and create and explore records from that. It should also provide a look at some of the particular complications and pitfalls in dealing with forms. In the future it’ll most likely be useful to address a more complicated version of forms, but for now this is a good starting point to develop an intuition of the concepts. If anything seems oversimplified or susceptible to edge cases and user error, it’s most likely from the effort to avoid bugs and overly complicated layouts. This commits a record called #app-window whose attribute target specifies which page gets rendered. In this case, when the app starts up, I want the landing view to be the Start page. The starting page isn’t very complicated - it contains a thank you message for the civically engaged Earthicans, the flag of Earth, a button to start a new registration for another voter, and a subtle sponsorship message. The voter registration page starts with questions that determine the eligibility of a registrant to complete the form. A voter must be both a citizen, and not convicted of a felony. This block sets up the form, and posses those two questions. If either of the qualifications are not met in the submission, then a message is displayed informing the registrant. We can access the from submission through a #submission record. The attributes of the submission map to the field attribute in each of the #field records of the form. Form submissions can be either #valid, meaning the submission contains all of the required fields; or #invalid, meaning the submission is missing some of the required fields. This gives you flexibility on how to handle form submissions. disqualified = if citizenship != "Yes" then "disqualified"
else if felony != "No" then "disqualified"
The form is #qualified if the qualifications are met. When the registrant is deemed qualified, the rest of the voter registration form is revealed. This is done by attaching additional sections to the already exiting form, defined above. This listens for a new submission on the registration form, and creates a new #voter record with the submitted information. The registration summary page displays the voter’s new voter card, as and contains a button that redirects back to the starting page. Technically this question susses out both one’s gender and organic life versus robot status, and the end result is the need for a list of genders rather than a binary option. Instead of adding these manually in the voter registration page layout, I’ve made a list here, open to any additional genders that need to be added. Any gender on this list will get added to the voter registration page, which gets sorted by the order attribute. While the Tastycrats and Fingerlicans are the primary parties, there are many third parties to choose from, and they all get listed here. Again, this makes it easy to add or remove political parties without having to mess around with the voter registration page. 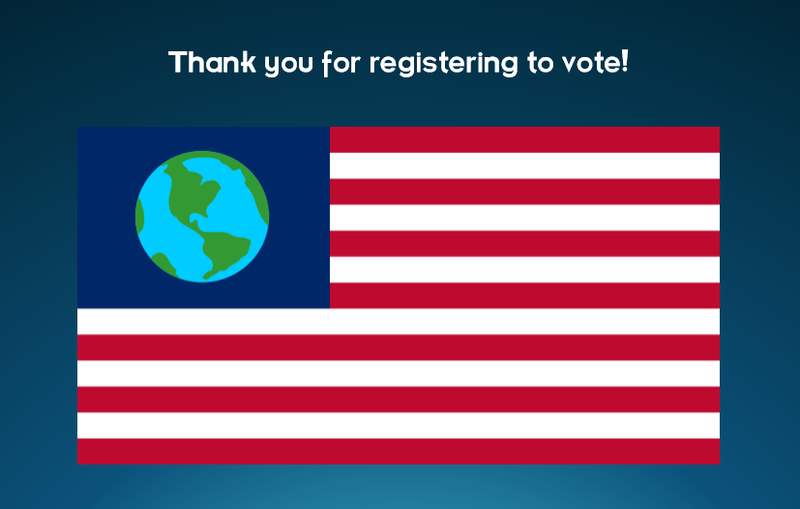 This page gives an administrator an overview of all the Earthicans who have registered to vote, and drawing the contents is actually pretty easy. All we need is a #voter-card for each #voter record. The layout for what the #voter-card looks like gets handled in the next block, and the brunt of the work for this section is actually the styling. Each voter gets a #voter-card in the browser, which displays the voter’s information. phone = if voter.phone then "Phone: " else ""
address2 = if address.address2 then "  " else " "
middle-name = if voter.middle-name then "  " else " "
Here’s a few sample registered voters to help populate the Summary page. party: "People for the Ethical Treatment of Humans"
party: "Dudes for the Legalization of Hemp"
When the submit button is clicked, the form enters a #validating stage, where all form data are collected and compared against the field specifications. If any field does not match, then the submission is tagged #invalid and those fields are called out to the user to correct. If all fields are valid, then the submission is marked #valid and the data are stored in a new #submission record stamped with the submission time. We start by saving the data in the submission record, and mark the submission as #validating. Validation is covered in the next section. If a field is #required and a submission is #validating, then we check that the field is actually filled. If any required fields are not filled, then we mark the submission as #invalid`. Give invalid fields a custom class. Also display a message at the top if any fields are required but missing. The bind here allows the form to be corrected dynamically, unmarking previously invalid fields as soon as they are filled. Resetting currently has a bug that affects multiple form submissions in succession. Custom input types are implemented by taking the value of the input (whatever that may be) and assigning it to the value attribute of its corresponding #field record. For example, the value of a text field is just value. However, the value of a radio field is the value of the option that is checked, so some additional logic needs to be in place to work with these various components. However, the interface to access these data from Eve is to uniformly look at the value on the #field. In this example, we implement both the radio and the input fields, but more can be implemented in this way. This app needs a good amount of CSS to style the layout of the registration form and the voter cards.